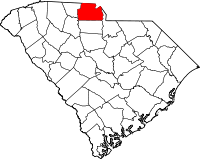 ↑ "York County, South Carolina". Retrieved 3 February 2016. This page was last changed on 8 March 2019, at 07:40.